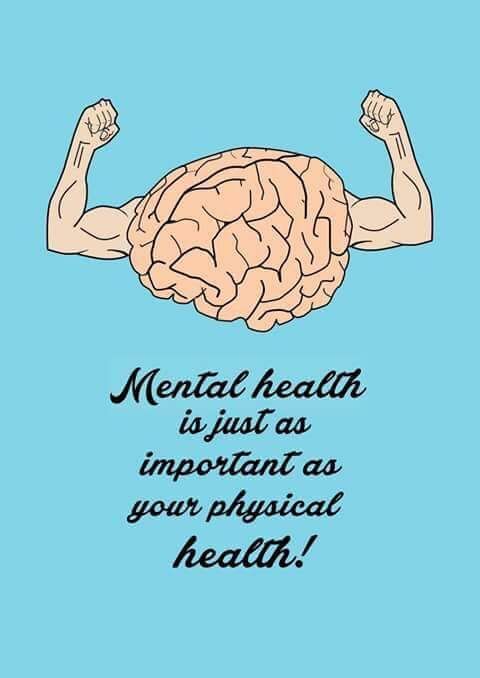 With the month of May already upon us and with May being recognized as mental health awareness month, I would be remiss if I did not chime in on this exceptionally important subject matter, which we know, statistically impacts millions around the globe. Any topic pertaining to advocacy, which affords me the opportunity to further the discussion in spreading awareness, and casting an additional light or voice upon, is I believe, my inherent responsibility as part of the collective. We as a people can no longer afford to turn a blind eye or relinquish a personal sense of responsibility or commitment to the raising of consciousness as it relates to matters impacting us all, whether directly or indirectly. Mental Health is real – it exists and is unfortunately on the rise in all of our individual communities. Its reality touches our own families, our schools, our workforce, impedes the lives of our friends, neighbours, peers, colleagues, children, parents, partners, and perhaps even within our own selves. In-spite of my previous twenty-five years of working with those who fell within the ‘isms’ in the field of social/human services – specifically crisis management, whereby many of my former clients had been working with mental health diagnosis (often dual-diagnosis) and/or who admittedly experienced a disruption to their emotional wellness/state of mind – I am not nor have I ever been… a psychiatrist or a psychologist. It has never been my role or area of expertise to so-called, ‘fix’ someone. My role, involvement and undertaking has always been to meet people within the space of where they currently are – to ensure their safety, to help devise a plan of care/action – to introduce appropriate referral sources – to stabalize ones immediate environment/surroundings while within my care – to empower and to advocate and to do so within the sphere of kindness, compassion, humility, integrity, empathy, professionalism, advocacy, and non-judgement. I have been exposed to mental health with respect to what it can ‘look’ like, and how it can play out, and the ways in which it can wreak havoc on peoples lives both within my personal and professional life. I’ve bore witness to the life it can take on when it has been out of control for others as well as been exposed to the contrast of mental health when it has become manageable and under control for those afflicted. Only until the stigma component is completely lifted and eradicated; will all people who require support and intervention for mental health become less fearful and resistant to receiving it. Mental health is debilitating enough a challenge for anyone who suffers from the struggle of enduring it – let alone the compounded scrutiny and isolation that often accompanies it. If we could all be committed to shifting the apathy, and resignation, which pre-exists in the mindset of the unfortunate perspective that this is someone else’s responsibility or systemic problem in which to fix – then and only then if each of us assumes personal accountability for holding a pivotal role in rising each and every member of the human race, will we then do away with the have and have not polarities. I truly do believe and subscribe to the adage that we are as strong as our weakest link and for far too long, the disenfranchised, marginalized, oppressed, abused, impoverished, and those challenged with mental health issues have been treated and perceived as being the weakest links within our society. Not true – the weakest link within our society and global family has been the ignorant (by choice) and the arrogant. Intentional ignorance and arrogance are the undercurrents of what constitutes a ‘sick’ society – not a persons individual diagnosis. I do not believe in shaming, however, it has been the most innocent, fragile, vulnerable, and weakened members of our society who for far too long have been on the receiving end of unjustifiable and inhumane acts of human mistreatment and cruelty. Those who fall within the category of ‘have-nots’ should not be the ones to bear the brunt of shame rather the mirror needs to be cast upon those who are doing the shaming and dismissing and be held to account – not through punitive means as that only continues to fuel a counter-intuitive and hypocritical cycle – rather, this population of people should be mandated to volunteer – to interact and interface in one on one or group opportunities with fellow humans and experience first hand what it is to live the life up close and personal through the lens of those who are on the other side of the fence. Laws are instituted to keep (so-called) society living peacefully, and homogenously. We are each expected to pay our taxes, to shovel our sidewalks following a snowfall, to stop at a red light, to renew our drivers licenses, to be of certain legal age to drive, to purchase and consume alcohol, and the list of imposed laws and social norms continues – why not proactively institute laws whereby each member of society is mandated to fulfill a designated amount of volunteerism, fundraising, or charity work? Why do we as a society only impose this as ‘punishment’ when a crime has been committed? Why is the focus of so-called restitution toward an injured party only forthcoming as a reactionary means in which to right a wrong? Why not get this right at the front end, right out of the gate? Why are we more diligent and responsive a society in protecting our technology from becoming hacked or our personal information winding up in the wrong hands, or focusing on facebook and Mark Zuckerberg than we are instituting laws that prohibits any human being from being denied water, food, medicine, education, safety, and shelter? Why is there not law-enforcement foot patrol issuing verbal warnings and tickets to those who avoid the humanitarian crisis on our streets and who just comfortably cross to the opposite side of the road so as to absolve themselves of personal responsibility for intervening? If you flee the scene of a motor vehicle accident; you are instantly deemed liable. We care more about crypto-currency, our social media followings, growing our own bank accounts, keeping up with the Joneses, and wifi accessibility than we do about putting the human back into humanity. We all decide in our daily lives within our priorities and decision making thought processes what we choose to place our attention, focus, and energies on. Not unlike so many other events reflected on the annual calendar that only seem to derive the acknowledgement and attention of recognition and mention – Mental Health Awareness needs to exist and continue prior to and following the month of May. Sadly, the so-called ills of our society are not those who have the diagnosis. The ills of our society resides in our own diseased attitudes, which is what in fact precipitates and perpetuates the culture of apathy and resignation. I challenge each and every one of us to face our fears, and to get involved. I challenge each and every one of us to authentically care. I challenge each and every one of us to contribute as opposed to contaminate. Less talk and more action for us all. Lets get this right once and for all.